Time spent with your cat is a never wasted moment! But Do you know that your fur buddy needs to be groomed frequently to keep it clean and safe? 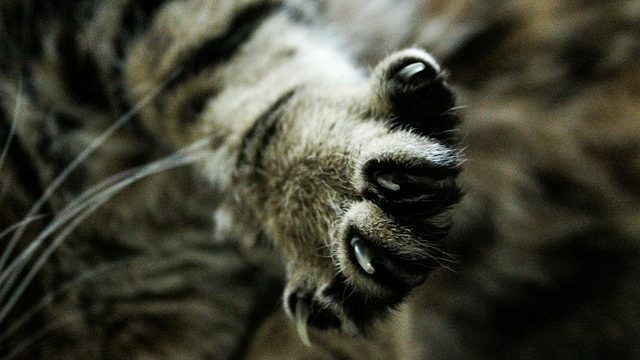 Most of the cat owners face a huge problem with cat nails. It’s a pretty annoying thing when your cat roams around your home scratching and messing the furniture with nails. Trimming the sharp points of your cat nails prevents it from kneading. Also, it is not an easy task to trim your cat nails cause the second your cat hears the sound of nail clipper it might run far away from you due to anxiety. The process of trimming can be relatively easy once you learned how to do it and get your furball accustomed to it. Choose a good quality nail clipper that trims nails perfectly without causing any pain. Don’t go for something soo fancy. Pick a simple cat nail clipper. Treats build a happy factor between you and your cat. Giving treats simultaneously whenever your cat allows you to do the grooming process. Buy a nice box of treats that your cat love and proceed to the next step. The first thing you need to do before starting this process is you must set up the right mood in your kitten. If your kitten is anxious or too stressed, then it may not allow you to touch its paws. Choose a quiet room in your home where you can sit with your cat comfortably. Pet your cat and get her relaxed till she fell sleepy. Make sure that no other pets or birds are around you and your cat which may distract your kitten’s peace. Cats are very cautious when it comes to their claws cause they are one of the main parts of the body that allows them to hunt their prey. So they never let anyone touch or play with the paws. Naturally, most cats are little skittish when their paws are being handled. When your cat is lounging happily around you, start petting the paws gently. First, pet your cat’s favorite spots while petting its paws alternatively. At first, your cat might run or pull its paws away. If it pulls off or runs away let it fo and don’t force it to do anything. But keep petting its paws whenever it allows you and rewards it with its favorite treats. Giving appreciations and building positive associations gets your cat to trust you more. After your kitten gets comfortable while petting on its paws, then its time for the next time. Now hold its paws gently in your open hand and place your hand on the cat’s paws. Flip the hand around in such a way that bottom of your kittená paw on the top of your paw. Hold it gently and do not get your cat stressed in this step. Also, don’t forget to keep rewarding your cat for allowing you to pet it. Your cat gets naturally excited when it sees something new and might not allow you to touch it with a clipper. So, first, you must introduce the furball to nail trimmer so that your kitten feels safe about it. When your cat is relaxed on the floor or a favorite spot and place the nail clipper in front of your kitten. Allow your cat to sniff it around and give treats in the end. It makes your cat think that clippers are friendly and associate a good experience with a nail clipper. When your cat gets accustomed to the whole clipper environment, then its time to clip. Make her sit on your lap or beside you. Now massage your cat’s paws gently and press her toe pad. You can find pink and white parts in the paw where the pink part consists of blood vessels and nerves in it, and the white part is the beginning of the nail. The pink part is known as quick which you need to be more cautious while cutting the nails. Do not cut the sensitive area of the paw. Start clipping the nails slowly and do not rush during the process which leads to damage to the pink area. If you accidentally cut the pink part of the paw that’s it, it instantly starts bleeding, and your cat runs far away from you. Practice extending your kitten’s nail by massaging the paws and offering treats. It prevents damage to the pink area and helps you to focus on nail art. Take your cat’s paw into your hand and massage the pad until the nail part extends out and notice where the quick part begins. Now take the clipper and trim the sharp part of one nail. Release the paw instantly and give treats to your cat. Now clip another nail of the paw if your cat is comfortable and reward her with special treats at the end. Do not cut more than two nails in one session. Aggressive cats never allow you to hold or touch their body. They might react differently and even run away when they see cat nail clippers. So, while doing nails, you need to be more friendly with aggressive cats and treat them with more love. If your cat still to clip her nails, it is a better option to contact a vet or pet groomer. If you do not have cat clippers, you can use human clippers, but you must know a few precautions before doing it. Human clippers from cat clippers in purpose and functionality. So, use it with less pressure and more patience. If you have accidentally cut the pink area of the paw, use styptic powder. You can also use an ice cube to heal the pain. Do not cut too deeply into the paw. So, we hope this blog about How To Trim Cat Nails helps you the next time your kitten got big nails. These are the best way to trim cat claws painlessly. According to behavior experts, cats love the grooming process if it’s done in the right way. Get your kitten relaxed and make it accustomed to the whole process. All the very best for your next cat grooming sessions!